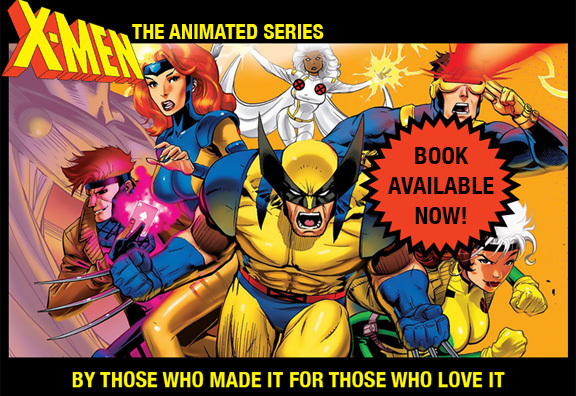 How did we decide on the nine lead X-Men charcters out of the dozens available to us for the animated series? They made themselves necessary. Every one of them mattered. The team’s ideals resided most powerfully in Professor Xavier. Their mutant sense of isolation was given life by Rogue. Storm embodied their majesty. Beast personified their thoughtful side, their kindness. Scott was dutiful above all, Jubilee curious. Gambit charmed us, and Wolverine seethed with the fury and frustration of the unjustly oppressed. Finally, holding them all together, was Jean. We and the powers that be hadn’t planned it this way — the team grew into what it had to be. There were many chances to change it. Nightcrawler? Colossus? Cable? Iceman? Archangel? We even planned to have four of them leave after episode 65 (“Beyond Good and Evil”), originally the “final” episode (we were asked to do eleven more at the last minute). It wouldn’t have been the same. This was our team — they had a balance and chemistry that allowed us to write the stories the way we wanted. Below is a recent casual sketch of the X-MEN:TAS team of nine by the man who designed our series, Will Meugniot. It’s fun and simple, but it reminds me of why we chose them — or they chose us.